Aspen Vision City Sdn Bhd (AVCSB) is set to launch its first landed housing at Aspen Vision City in Bandar Cassia, Batu Kawan, Penang next year. AVCSB is a subsidiary of Aspen Vision Land Sdn Bhd (AVLSB) while AVLSB is a subsidiary of Aspen Vision Development Sdn Bhd (Aspen Group). 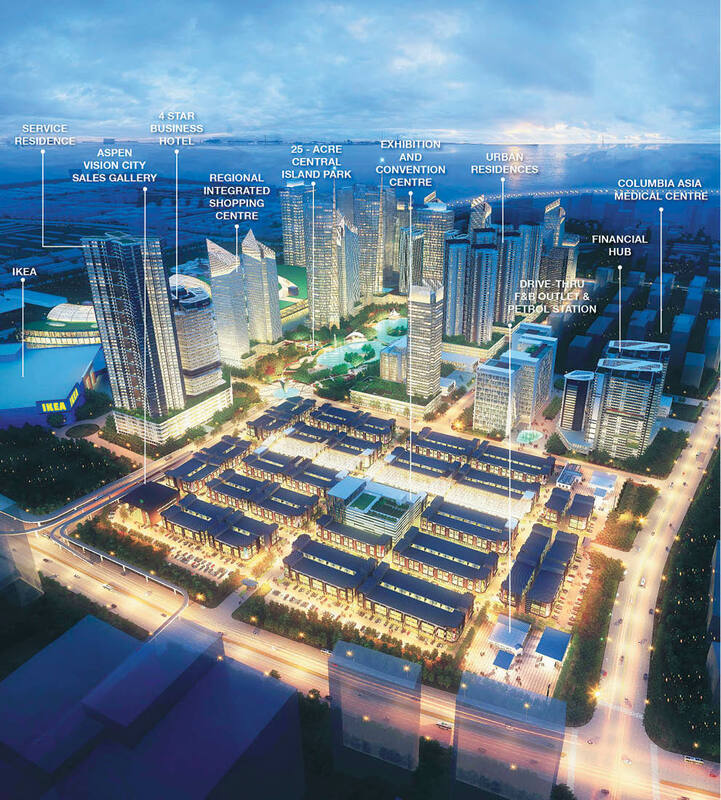 Aspen Vision City covers 245 acres of freehold land and is one of the biggest mixed developments in Penang offering a combination of condominiums, shopoffices, serviced suites, hotels, office tower, financial hub, medical centre, international school and a range of amenities. The northern region’s first IKEA furniture store will also be located there. “This will be our first landed and luxurious designer bungalow development in Aspen Vision City which is named ViLuxe. These upcoming bungalows will raise the bar of luxury projects in mainland Penang. It will also have direct access to our 25-acre Central Island Park,” Aspen Group CEO Datuk Murly Manokharan told TheEdgeProperty.com. There will be a total of 157 units with prices starting from RM2.5 million. “Our target market is the elite group in mainland Penang and those who know how to appreciate the finer things in life,” said Murly. According to him, Batu Kawan is the only landbank in Penang and the entire northern region that has infrastructure completed ahead of property developments. “Billions of ringgit have been spent by the government to connect Penang Island to Batu Kawan. “The North-South Highway at Batu Kawan makes it very attractive as a destination of choice for people from other northern states which is a largely untapped market. Batu Kawan is a well-planned satellite city — the infrastructure and public amenities are all well thought-out by the government. In [other] developments, developers need to pay high land cost and heavy infrastructure investment before they start their developments,” said Murly. He added that due to its accessibility, the economy of scale in Batu Kawan will be better than in Penang Island as the area is well connected to almost all states in Peninsular Malaysia. The high-tech and light industries that are mushrooming in Batu Kawan also play key roles as job centres. With all these elements and the attractive land cost, it is not ambitious to say Batu Kawan will spearhead the future of Penang’s commercial and financial activities,” he said. Meanwhile, the group will also officially launch another component of Aspen Vision City, Vertu Resort, in December. Vertu Resort is a resort-inspired condo development with furnished move-in condition units. It is Aspen Vision City’s first residential development. The project was soft-launched in February this year and is already 60% booked. 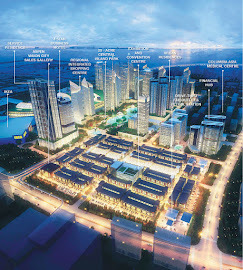 The project has a gross development value (GDV) of RM620 million. It has 1,282 units with built-ups ranging from 1,030 sq ft to 1,290 sq ft. Prices start from about RM450,000. Aspen Group had also recently launched Small-office Home-office (SoHo) units known as Beacon Executive Suites in George Town, Penang in September. It has achieved a 40% take-up rate so far. “There are a total of 227 units with built-ups of 980 sq ft. Prices start from RM558,000,” said Murly, adding that the project has a GDV of RM150 million and is targeted for completion by 2019. On the property market, he noted that the market has been challenging not only in Penang but in the entire region. “However, it very much depends on the relevance of the product to buyers. The right product will still strike the market well. The property market will remain challenging next year and developers need to understand the needs of the market and put in more thoughtful details so that the new projects will remain relevant to buyers,” he offered. Aspen Group has so far achieved RM850 million in sales and targets to hit RM1 billion sales by the end of the year.